The banking system or any paper money system is built on confidence, confidence that a note will be paid out in something solid, something other than a paper promise, which is what all money systems and bank notes are. Centuries past, when the world was operating primarily on the barter system, such promises were few and were backed by gold or silver, or land, or a herd of horses or cows, something solid. Villages and towns, farmers and those in the trades, all operated primarily by barter, a cabinet built by a carpenter and payment in a quarter of a slaughtered hog, a bushel of apples getting a tooth pulled by a dentist. India purports that their suddenly announced and even more suddenly implemented Rupee exchange is a move to counter corruption and terrorism. It is not. How would this move counter corruption? Suddenly hordes of paper money that had been received as a result of bribes would be worthless unless exchanged, en mass, in front of God and country? Are they to claim that the holders had come by the money illegally, and arrest them? Holders of large cash hordes will merely hire the poor to front for them during an exchange. of this Newsletter in 2014, cash withdrawal limits and limited banking hours are definitely in the plans. If banks frankly shut their doors, the panic would set in, in earnest. Where heavy withdrawals are noted, the banks are using various "braking" mechanisms such as delayed payments, all the while making claims of computer or system problems. Various other techniques will be tested on the public to see which ones meet with the most cooperation among the public. The point at which restricted banking hours and restricted withdrawals is reached is a long road, with many twists and turns. A limit on banking hours is another of our predictions, a limit on withdrawals, etc. Those at the helm are concerned about timing, as if these measures are undertaken too soon, it adds to the panic, but if too late, matters can erupt into riot. There are dungeons beneath the airport, and tunnels to outlying areas, but not to the extent rumored. The plan was for many planes to land, unload, and take off, with those transported to Denver shuttled off to the suburbs quickly. The plan was for an emergency evacuation of Washington, D.C., thence to Denver, during the last weeks before the pole shift. Thus the telling murals of catastrophe and martial law. of its Gold. Fulford details a great battle behind the scenes wherein this group is losing their grip on control of money production and the ability to accrue wealth. Clearly this VLF plane was seeking something, triangulating a region by going around it repeatedly, honing in on its target as it did. It was using as a guide various metal subterranean posts that were part of the construction when the Denver International Airport was constructed. It indeed intended to participate in VLF communications with nuclear submarines around the world. Now this is being reversed, so that the transmitter is being bombarded as a receiver, thus crippled. covering a mere 3 hours shows an almost 30° turn. The easy out for the Moon is to avoid the crowded lane, which it does by being too high, and then too low, for the majority of its orbit. It rides high and low as it does as this was the tilt of its orbit before the Planet X drama started, now simply become more extreme to avoid the middle road, the crowded lane. 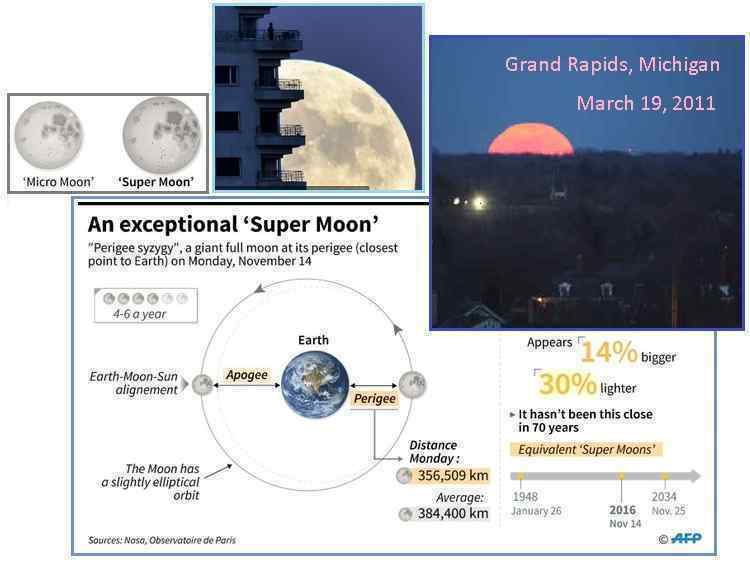 Supermoons as a result of the where the Moon and Earth are in their various orbit, all the variables, but per the Zetas they are not including Nibiru in their explanation. Per the Zetas, where the tilted Moon orbit was the Moon trying to evade particle crowding, the Supermoon increase is reacting to a gravity draw from Nibiru, and this will only get worse. More Supermoons in our future, per the Zetas. The Perigee of the Moon is influenced by various factors. The Earth rotates every 24 hours, but the Moon goes round the Earth every 27.21 days. Thus the Moon is seen at different times of the day or night. 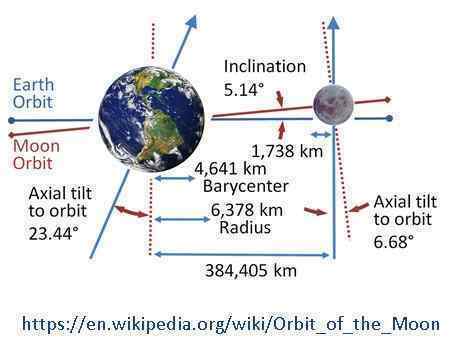 The Moon’s orbit is tilted in relationship to the Earth orientation, and thus at some times it reflects more sunlight, thus called a Full Moon, and at other times is mostly in the Earth’s shadow. When the Earth itself is pulled toward the Sun, the Sun’s gravity can also draw the Moon closer to the Earth, thus the greater incidence of Supermoons at these times. The Earth can also shield the Moon from the Sun’s gravity.